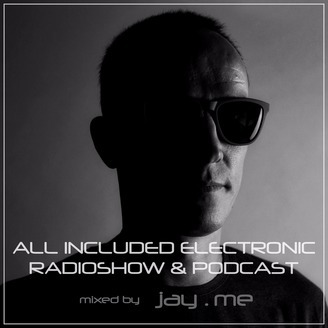 // ALL INCLUDED ELECTRONIC RADIOSHOW & PODCAST // Welcome to ALL INCLUDED. Every 15 days a new hour of session mixed live in my studio. Deep house,Progressive house, Tech House, Techno ... Electronic Music.Hope you like it and enjoy it. Thank you for following and listening. Have fun!! 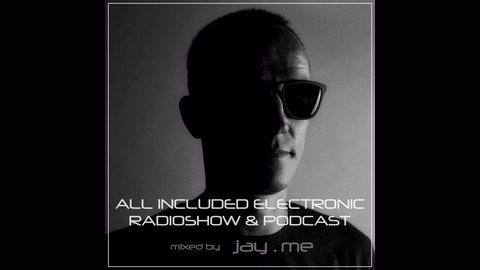 Also you can listen it on Mixcloud, Soundcloud & Youtube: http://www.mixcloud.com/jayme_dj/ http://www.soundcloud.com/jayme_dj http://goo.gl/klqi55 You can follow me on Instagram (jay.me_world), Twitter (@jayme_deejay) or Facebook (@jay.me.dj.page) Contact me at: mailto.jay.me@gmail.com.